Professor Wiebe Van Der Hoek has been appointed Executive Pro-Vice-Chancellor for Science and Engineering after serving the role on an interim basis since June last year. Professor Van Der Hoek joined the University in 2002, taking up a Chair in Computer Science to work in the area of logics for multi-agent systems, specifically Dynamic Epistemic Logics. He was Head of Computer Science from 2008 to 2012, and became Head (now Dean) of the School of Electrical Engineering, Electronics and Computer Science in 2014. In June 2018 he was appointed Interim Executive Pro-Vice-Chancellor for Science and Engineering. Vice-Chancellor, Professor Dame Janet Beer said: “Wiebe has significant leadership experience, developed both from his time as Dean of the School of Electrical Engineering, Electronics and Computer Science, and, more recently, through heading up the Faculty. 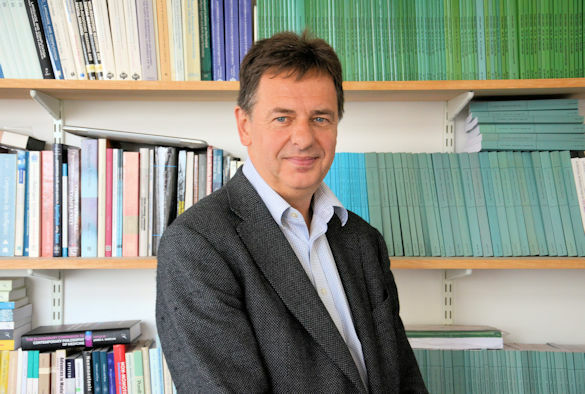 Professor Van Der Hoek co-chairs the Digital Steering Group, chairs the Digital Alder Hey / University of Liverpool Steering group, and is a member of the Steering Committee of LCR 4.0, as well as being a Director of Sensor City.